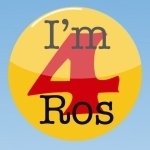 I’ve spent a significant amount of time over the past month or so criticising the other two candidates, but what I haven’t done is write about why I’m voting for Ros. The shortest and simplest reason is that for the past year I’ve seen her walk the talk. The other two candidates talk a lot about campaigning. Ros has got off her arse, toured the country, developed a brand, shored up supporters, experimented with social media (successfully) and built momentum. A year ago, her chances of beating Lembit were minimal. Rather than settling for second place and a pat on the head, she’s worked her socks off to turn that around. Now, I supported Lembit in 2004 and I agree with his lot of his supporters that he is one of the best trainers and motivators the party has. But Lembit’s response to this very public onslaught by Ros has been complacency. I wasn’t expecting him to go into full scale campaign mode in October 2007. But when I started my Where’s Lemby…? series of blog posts is was because I fully expected him to have a campaign team ready and waiting to get moving. I thought the blog posts might last a few days, a week at most, and that at best I would be able to leech some of the momentum from his launch. But there was no launch, at least not one to speak off. He just about managed to get a website up and running halfway through conference but even that was appallingly cack-handed. The role of Federal President has very few powers. What powers it has is soft, not hard; it is not a point-and-click role by any means. Successful presidents need a combination of diplomacy, strategic vision and drive. Of the two presidents I served under on the Federal Executive, Navnit Dholakia had all three of those qualities to a greater or lesser extent, while Simon Hughes completely lacked a sense of strategy (and while I don’t think anyone could get away with accusing the Simon-The-Human-Dynamo of lacking drive, he did give up on his pledge to grow the party’s membership base remarkably quickly). Lembit’s big problem is drive, which explains why despite his seniority in both the FE and the Welsh Party, his liberal instincts, his charisma and his intellect he has never managed to deliver anything even close to what his manifesto proposes in the past. He gets bored too easily. The sad fact is that does not merely make him less effective than he could be, it makes him a positive liability at times. Having seen Ros both up close and at a distance, it is my judgement that she has all three in spades. But fundamentally, she really wants the job. Lembit really wanted it in 2004 and it showed. The difference between the campaign he ran then and the campaign he is running now is huge. Dynamism is the single most important quality in political campaigning. Everything else comes second in this election. For that reason I urge everyone to do the party a favour and give Ros Scott your first preference. At the risk of being accused of picking on Chandila Fernando, I do have a couple of comments now that shiny version of his website has finally been published. 1) Now it has been launched, what is the point of the holding page? If it at least had a sign up form that would be something. As it stands it just makes the content another click away. Does no-one worry about bounce rates these days? 2) When will the UK English version be made available? I’m sure proposes to “decentralize” and “modernize” will go down well with an American audience but over here we call them spelling mistakes. 3) Why is it that whenever you point your mouse on the Libby Bird, it flies away? That isn’t just gimmicky, it’s annoying. 4) For all this talk about the party having a confusing brand, which brand will Fernando finally settle on? On the front page alone we have “Modernize, Streamline, Decentralize” and “The Troubleshooter: the activist, on your side, to turn it around.” Click on “About Chandila” and we get three more adjectives “Energy, Leadership, Enthusiasm.” Click on “Manifesto” and it becomes “The Fresh Face, New Ideas, Serious.” These are all very nice words, but how does this amount to a candidate that really knows what he’s talking about when it comes to branding? 5) If you’re going to launch a website days late, you ought to make sure everything is ready. Having an empty “Events” page and “coming soon” on the “Get Involved” page is pretty dire. I know I’m open to the accusation of being mean here but if you are really trying to sell yourself on your professionalism, you really do need to get your ducks in a row.